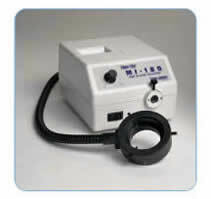 LED Ring Illuminator MRL-LRL is a high intensity, rugged and long-life LED Ring Light. This LED ring light allows you to control which sections you would like illuminated at any time. With 60mm internal diameter. Variable intensity 21V 150W quartz halogen light source with dual arm light guide can be used in a wide range of illumination tasks. UL listed and CSA approved. 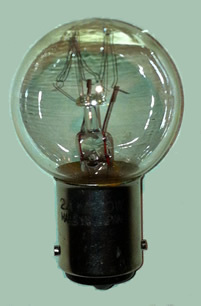 Available in 110V and 220/240V CE approved models. Color temperature: 3200K. Variable intensity 21V 150W quartz halogen light source with 60mm inside diameter annular light guide fits all RZ and EMZ stereo microscopes; adapter required for EMT and EMF stereos. UL listed and CSA approved. 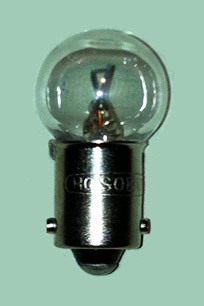 Available in 110V and 220/240V CE approved models. Color temperature: 3200K. 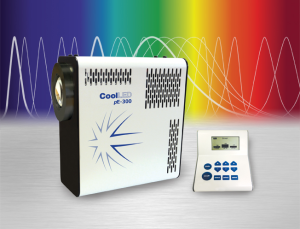 We are an approved agent for CoolLED and supply a number of customers with their LED fluorescence units to replace mercury vapour lamps. 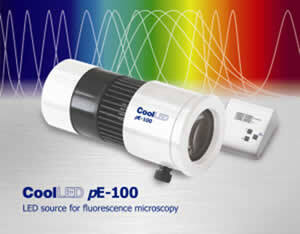 There are many applications for CoolLED products for Screening, Tissue Culture and general Fluorescence microscopy. Microbiology, Pathology, Histopathology, Immunology, Cytology, Histology, Virology, Molecular Biology and Haematology laboratories regularly use a combination of stains excited by the common three colours. Optech Microscope Services can provide LED excitation matched to your fluorescent stains and microscope filter sets. Many stains can be excited by a single colour such as GFP, FITC, Auramine, Acridine, etc. 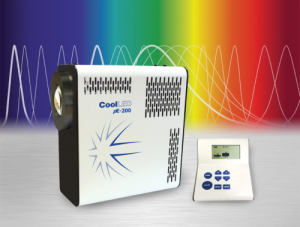 CoolLED can provide LED excitation matched to your fluorescent stains and microscope filter set(s). The pE-200 is perfect for popular Screening applications such as Tissue Culture where two excitation colours are required for illuminating your fluorescent stains. Three Configurations are available to allow you to select the combination that will excite the common fluorescent stains used by the majority of laboratories. The pE-300 is perfect for laboratories performing Screening, Tissue Culture and general Fluorescence where three excitation colours are required for illuminating your fluorescent stains. A single configuration is available. 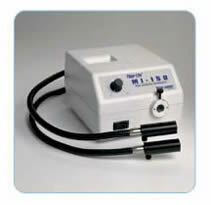 All you need to do is specify the microscope and power cable required for fitting in your laboratory.